This code looks very hard to change in case of changing expression and looks ugly to me. Isn’t it easies to create all possible permutations, assign them to letters (maybe in alphabetical order) and check expression to be satisfied? Have you compared the runtime with the “dumb” version. All these “smart” versions are really, really slow. The following “dumb” version beats them pretty easily. What’s the point of “smart”, “cute” code if it’s slow as molasses? I wrote a solution in C# just because and before reading past the problem in the the article. The first being performant the second just being pretty. I spent 5 minutes to find a solution with a pen, 9567 + 1085 = 10652. How long to solve this problem with a computer? LMFAO @joe’s solution….. Using iostreams in that one function cause a 50% slowdown; can you elaborate? Profile? A simple brute force solution aiming at simplicity and readability over performance. * Iterates the permutations using a wrapper for std::next_permutation. * Integer conversions via stringstream for convenience. @Alexander Riccio sorry, no, didn’t profile it. Just the difference in runtimes (as printed in the program itself) 6 ms vs 9 ms IIRC. No endl, and sync_with_stdio false. However the real challenge is not a syntax, but to make such kind/style of code run fast. By the way, version which uses ready library permutation is higher level than trying to generate permutations by hands with monads. To everyone else who is balking at the over-complicated nature of the solution, do remember that the only reason why anyone would bother “solving” such a trivial problem is to learn something. The day may come when you have to do Prolog in C++. This may help if that day ever comes. For entertainment purposes only! I would never code for real in Rust this way. It was just as a language learning experience. 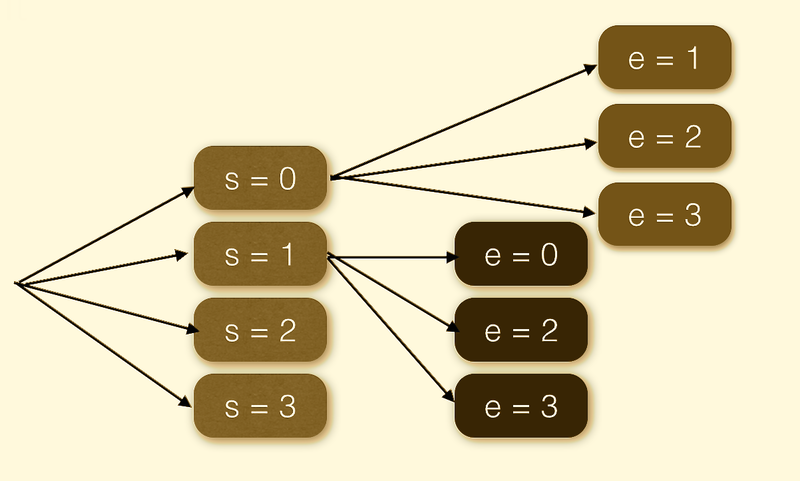 Scala bruteforce version which takes “send”, “more”, “money” as arguments, it can also take a different number of words to sum. Of course, the performance can be far better with constraint satisfaction or any other type of search space pruning. It actually finds 25 solutions rather than 1 because I didn’t disallow 0 for the first digit. That can be fixed in the checkSolution function, but I like it more this way. The WordPress pingback didn’t seem to work automatically… Here is my reaction to this: http://www.dlugosz.com/zeta/?p=452 I have a very different lesson, “know your libraries”. Velizar, you found 25 solutions by not disallowing leading zero? That’s odd, since I found 50. Also, what was the speed of your brute-force solution in Scala? Unless we know why this monadic solution is preferred over, for example, the solution that uses std::next_permutation above, it remains just a novelty to me in the world of C++. In C++, does a monad offer any inherent advantage for any class of problems over its equivalent non-monadic solution? If so, can we see an example?